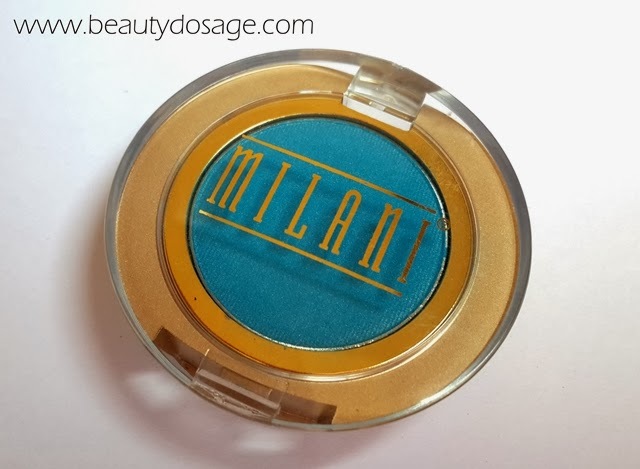 What does Milani say about this product? 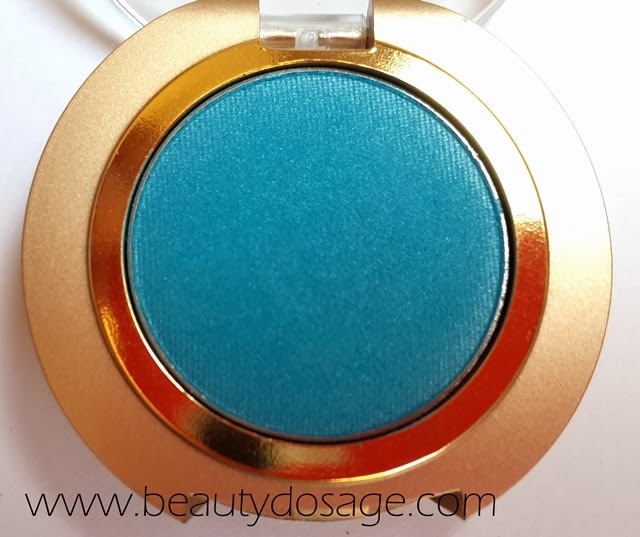 A super pigmented, easily bendable, crease-proof, silk-like powder eye shadow. Available in versatile colors with both matte & pearl finishes that can be used as shadow or liner. My experience with this product. I remember seeing beauty blogger emilyneol83 raving about how great quality these eye shadows were and I had to haul them while I did buy from beautyjoint.com recently. Can you being that each of these cost only $1.29? That just the perfect bargain for me. 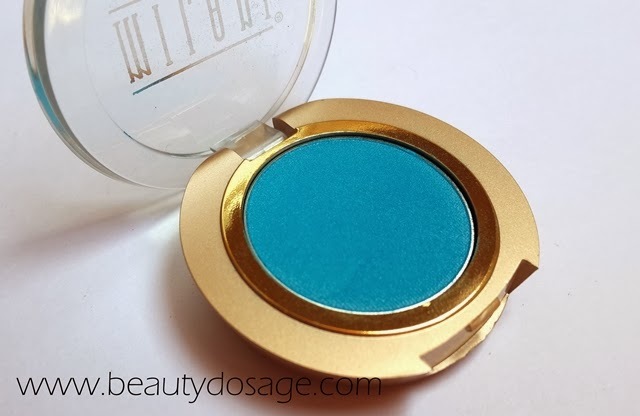 It has the signature milani gold packaging which I believe is very sturdy and shuts well. The pigmentation is out of this world with these eye shadows. 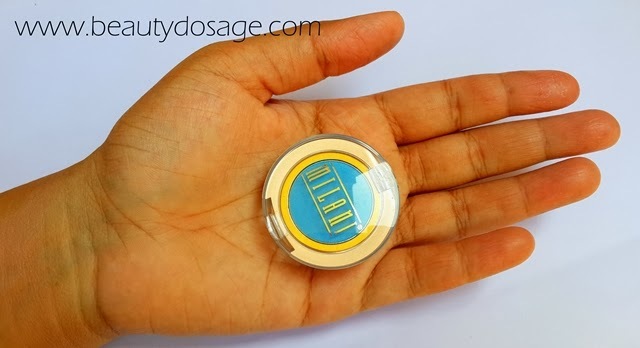 If you swatch it with your fingers or a brush, they pick up color really well and applies very even on the lids. They are not chalky or powdery whatsoever (even though they are powder shadows). When you feel the shadows between your fingers you could feel a really velvety texture which contributes to the amazing blendaility of this. This stays on all day until I remove it off therefore it doesn’t crease on me. 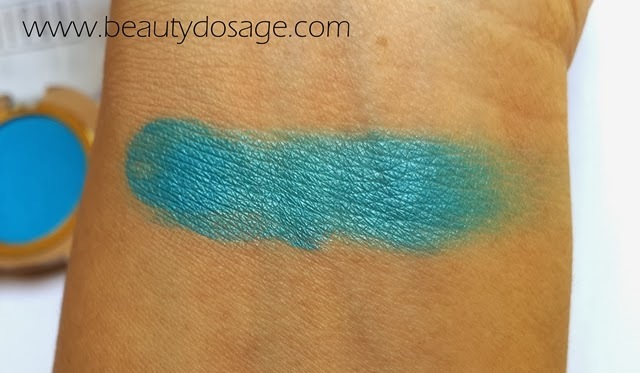 The shade 06 Atlantis is a medium sky blue shade perfect for a lid color during the spring. I believe you need to try this line out. You could buy your favourite shades for just $1.29 and play around if you’re a beginner. 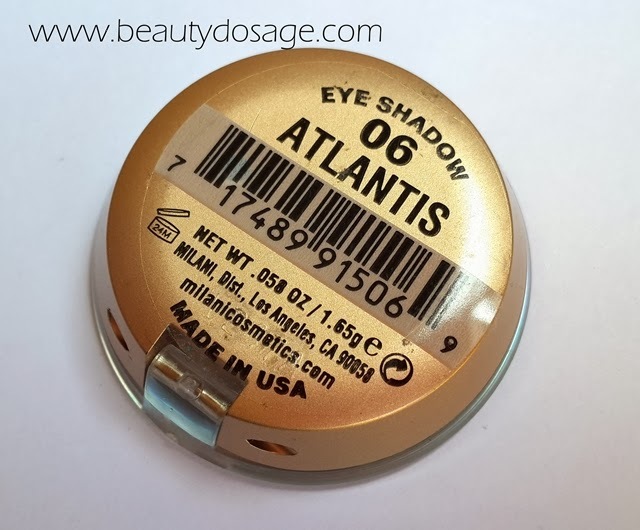 This is one is the best I have seen in the form of single shadows in the drugstore category.